we have no real chance of providing effective treatments. Learn to fully understand the challenge of pigmentation with this course. Discussed in depth are principal causes of pigmentation such as hormones and trauma, including the effect these causes have on the cells and systems of melanogenesis. 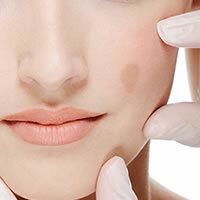 Understanding these factors will help us to appreciate that pigmentation does not always respond to treatment as readily as anticipated, and in some cases not at all. We will also examine the risks each photo type may be susceptible to during treatment. Completing this program is the final unit where we review the visual analysis of the most common forms of pigmentation seen in clinic today, including post-inflammatory hyperpigmentation. Evaluation of understanding and competency is achieved by sucessfully completing a 60 question, multiple choice answer assessment. The objective of this class is to understand that all intrinsic risks such as scarring, pigmentation, and vascular damage that occur predominantly within each photo type may be as a result of incorrect treatment modalities and clinical practices. Cellular damage will dictate the modality choice, the success of the clinical treatment as well as how many treatments may be needed to get the desired result. Understanding the levels of cellular damage will enable the skin treatment therapist to know at what level a corrective program should begin and what modalities and actives are required. The objective of this unit of learning is to understand the full lifecycle of the melanocyte from the embryonic stage in the neural crest, through to the formation of melanosomes and pigment within the epidermis. How the melanocyte works in synergy with other essential cells such as the keratinocyte and is responsible for the formation of the pigment that colours hair, skin, and eyes. The objective of this class is to understand how an event such as pregnancy or medications such as the oral contraceptive, in-vitro fertilization medication or progesterone based medication will cause pigmentation. Linking the lifecycle of the melanocyte to intrinsic and extrinsic causes such as genetics or lifestyle contributes to cellular damage, patterns of pigmentation, and the success of clinical services. The objective of this class is to fully understand the microbiology behind the skin condition post inflammatory hyperpigmentation. To understand more about keratinocytes acting as a source of the about increased reactive oxygen species of radical by transferring hydrogen peroxide to melanocytes and influencing or causing Post inflammatory hyperpigmentation. Also, examine the lipid component of cell membranes to understand further how lipid peroxidation reduces cellular functions of the melanocyte cell and mitochondrial membrane causing skin disorders such as post-inflammatory hyperpigmentation. The objective for this final unit of learning is to ensure that the learner can diagnose all types of pigmentation with confidence. Also, to understand the importance of the consultation process to find the causes of pigmentation and to be able to determine contraindications, treatment success, and modality choices. Awarded 5 CPD points or 7.3 CE's.